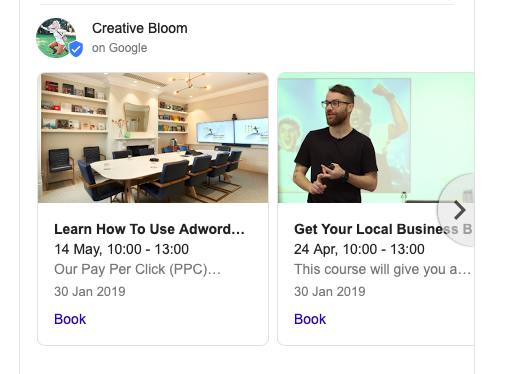 Hopefully, you’ve arrived here because you’re getting ready to do your own on-page SEO which is something we absolutely encourage at Creative Bloom! It’s not as confusing or tricky as you might think and regardless of what your website is built in, in 2019, pretty much all website builders have an SEO functionality - so whether you’ve already had a free digital clinic with Ollie & Stu or if you’re here for the first time, let’s have a re-cap. Your website should be shouting about what you do and for Google, you need to be putting the right keywords in the right places. Below, we’re going to break down each element of your page that should be optimised. As our example, let’s say you have an Art Gallery in Bristol. Firstly and most importantly, you need to choose a keyword for your page and this should be unique to each page you optimise. So, have a search on google for the types of keywords a visitor would be inputting and ask people you know! Sometimes we have a bias view of what we think people are searching for. If you’re a local business putting a location keyword is a key factor in ranking locally. In this instance, I would assume the search would be ‘Bristol Art Gallery’ or ‘Art Galley In Bristol’. You can use a keyword planner to see how popular these searches are. We’re going to go with ‘Bristol Art Gallery’. Your page title (in blue below) is the first element Google reads about your page and this is somewhat ‘hidden’ from a visitor in the tab in your browser. In this instance our gallery isn’t well known yet so there is no reason to put our brand name right at the beginning because no-one will be searching for it but they WILL be searching for our keyword. 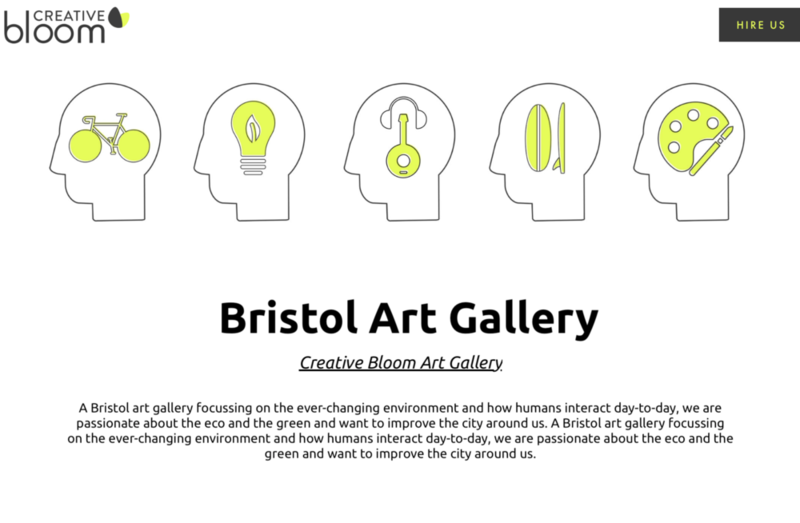 As we’ve chosen our keyword as ‘Bristol Art Gallery’ we’re going to make our homepage title as so: ‘Bristol Art Gallery | The Creative Bloom Gallery’. As you go through other pages on your site, you could choose keyword variants for those pages that users might search for, for example ‘Bristol Art Dealer’, ‘Art Gallery Exhibition Bristol’, ‘Contemporary Art Gallery Bristol’ etc. Your H1 is typically the main heading on your page (see below). This should ideally start with your keyword that you have chosen - ‘Bristol Art Gallery’. We understand this ideally may not sit quite right with the aesthetics of your page, however, without having your keyword in your header, less people will find your page. We’re all about driving more traffic to your pages and getting you more customers! Note: Your pages should only have ONE H1! If you have any more headings on your page after your main header, make sure you change their heading tag to (H2) sub headings or (H3) sub-sub headings etc. Next Google will be reading your content. You’ve already told it that you’re optimising for ‘Bristol Art Gallery’ so now it’s going to check your content to make sure you are who you say you are. That means, in the first paragraph you need to include your keyword ‘Bristol Art Gallery’ however you can. You can see how we’ve managed to incorporate the keyword into our first paragraph (below). Note: don’t forget to include semantics. Similar words to your keyword that other sites are likely to be talking about. In this instance, with art galleries we should be including semantic keywords such as ‘paintings’ ‘contemporary’ ‘specialist’ ‘exhibition’ ‘collectibles’ ‘collections’ etc. Name your images! When looking to edit your page, you will notice when importing or editing images there will be an option to input ‘Alt text’ or ‘Alternative Text’. This just means a keyword to tell Google what this image is - therefore it’s an opportunity to put your keyword in there. In our example, if we have two images on our page, I will call the alt-text on one ‘Bristol Art Gallery’ and the other ‘Art Gallery In Bristol’ - easy. Note: don’t get too worried about going through every single image on your site. It’s simply that the more signposting you do to Google to tell it what your site is about, the better. And this is an easy way to do so. And that’s it really. Do that for all your pages, or (if you have a lot) for your main parent/navigation pages and over time you should slowly start to see your rankings improving. You should still work on creating new content, driving traffic to your pages through different mediums, trying to get links from other websites etc. But this is the solid foundation to start getting you found on Google! If you have any questions about this article, want to sign up for a free Local SEO workshop with us or anything else please get in touch and we’ll be happy to help. Customer behaviour in ‘search land’ is changing & is clearly influenced by Google’s most recent updates. Your Local SEO strategy might need to adapt to keep up the pace. As far as Google is concerned, in 2019 its looking for quality and not quantity and so are your customers! It is far better to add a page that adds real value to your customers rather than producing pages to gain search rankings or creating thinly populated or duplicated content. Your local rankings won’t benefit from these tactics no matter how you tweak them. Stu’s top tip: Have a look at your website, read the content out loud, do the same for your closest competitors & ask yourself the question: do you deserve to rank? Google’s updates have not only changed its algorithm but improved the way it displays information about businesses. Potential customers are no longer browsing multiple sites to compare and find their desired service; instead, they are using the vast ocean of information that Google gives them via your Google My Business Page (GMB page). So ensure you pay attention to what’s appearing on the SERPS (Search Engine Results Pages) and ensure you are on those platforms. When customers want to access your phone number, review your track record, opening times and upcoming events, they are no longer looking at your website but are expecting to find that information on your GMB page. 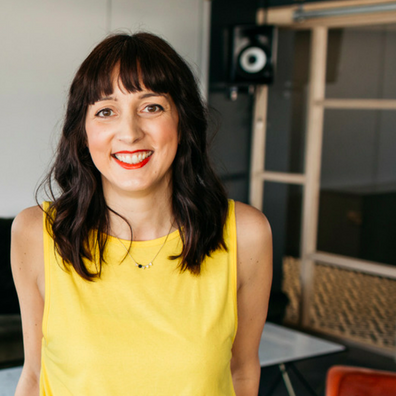 As Googles & users behaviour changes, your first chance to make an impression on potential customers is by taking advantage of your Google My Business profile and uploading all the information you can and make it sparkle. Here is where you get to own your space - so make it count. SEO’s are in 100% agreement that Google My Business (GMB) ranking signals will play a much more important for SEO in 2019, especially for local SEO. 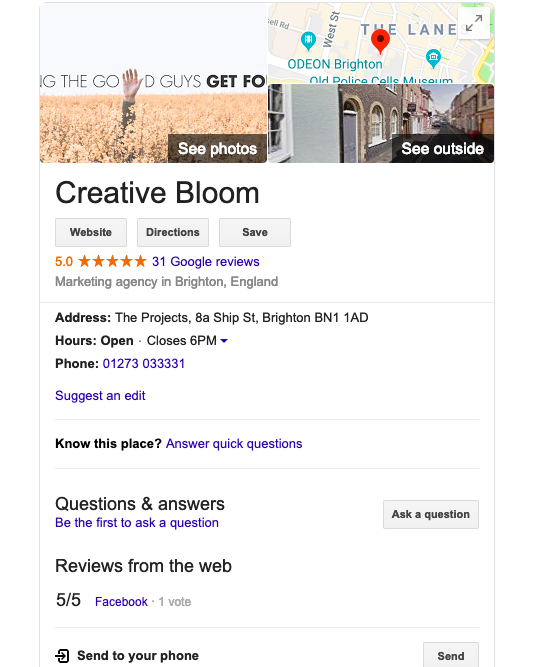 However, many businesses are not yet paying attention to this new important aspect of local search, so making the most out of your Google My Business page can be a quick and easy way to make you shine brighter than your competition. The final point is that you need to take your business wizard hat off and look at your profile as a first time customer. Is all your information readily available? Is it easy to understand and access? Does your business look appealing & compelling? Would you buy from it? So keep up to date with how your local SEO strategy needs to change alongside Google’s updates and focus on your Google My Business Page. You’ll show up better in local searches, and gain more conversions! At Bloom Towers, we often find that some clients & marketing managers struggle to get traction with their marketing campaigns. 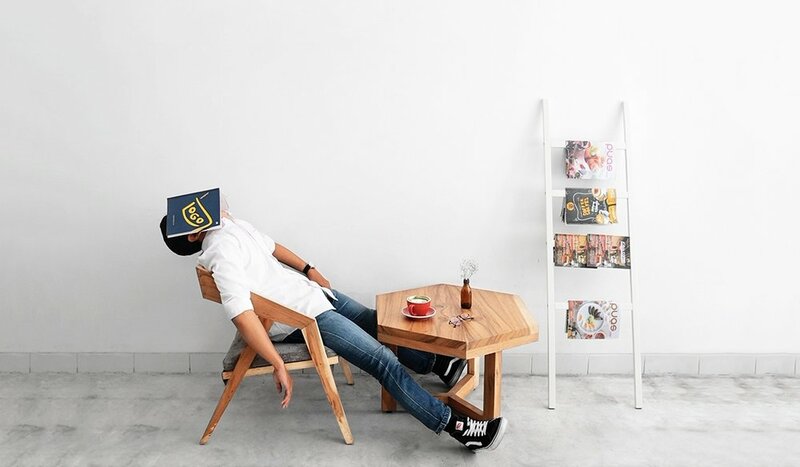 In the bewildering landscape of digital marketing it can be hard to work out the right way forward for your business marketing - ‘should I invest more in SEO? Or a content strategy? 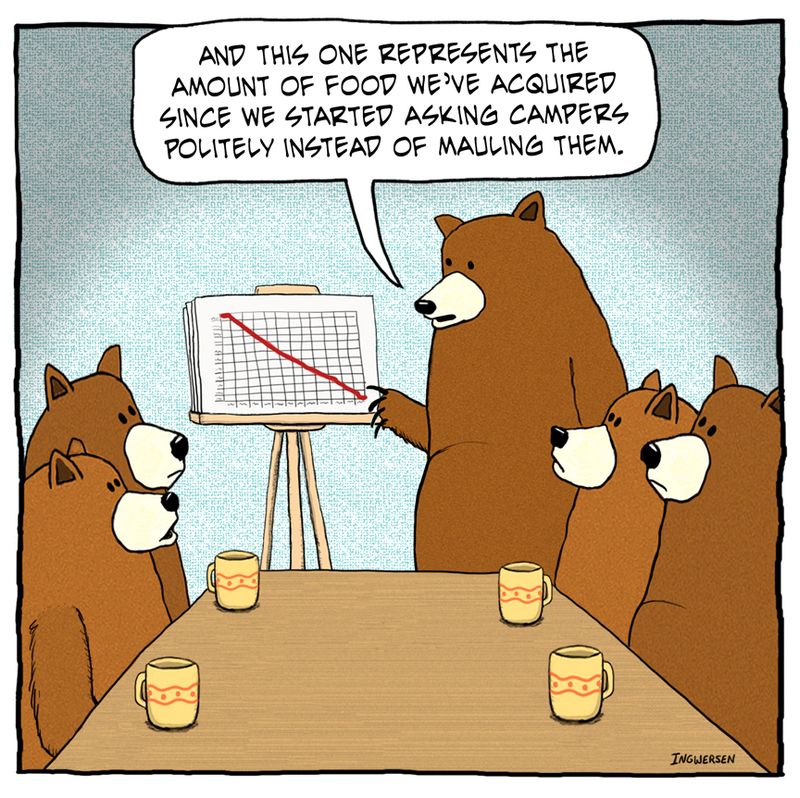 Or focus on social media?’ A bad marketing strategy can tank your business - just ask these bears. Fear not! We are here to guide you through the digital labyrinth. 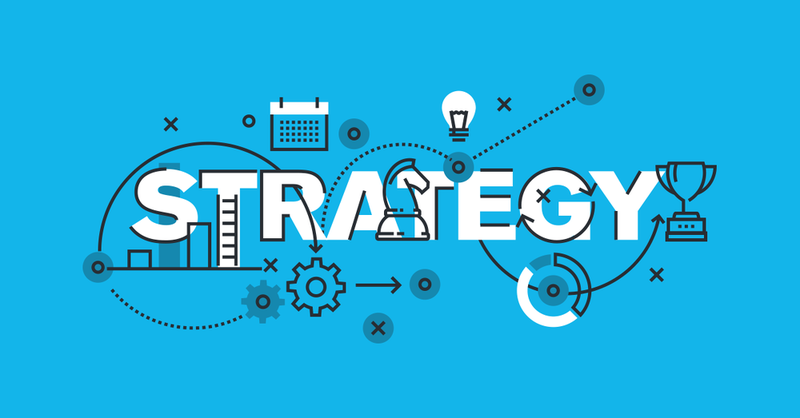 For us strategy is all about identifying the key challenges you face in your competitive & business landscape and creating the means of overcoming them. An effective marketing strategy can be fundamental in allowing a business to effectively build value in it’s brand, services or products. Creative Bloom’s approach to Digital Marketing strategy takes inspiration from a US strategist called Richard Rumelt and his book Good Strategy/Bad Strategy: The Difference and Why it Matters (2011) (we suggest get a copy if you haven’t read it). Rumelt explains that strategy should not be defined by ambition, leadership, vision or planning; but a coherent action backed by an argument, and we agree entirely. For Rumelt, the essence of a successful strategy is thorough diagnosis of a situation, creating an overall guiding policy to overcome challenges and the design of coherent action plan, that is driven to effect. So, applied to marketing, a good strategy can be broken down into three key ideas. Diagnosis: getting to grips with what’s really going on. This involves effort and a deep analysis of your current marketing efforts & available resources, the competitive landscape you operate in. You need to gain insights into your market environment, your customers and assess your competition and internal situation. These insights are important as Rumelt says “an especially insightful diagnosis can transform one’s view of the situation, bringing a radically different perspective to bear.” When a digital marketing diagnosis is carried out properly, it will correctly inform how you respond to weaknesses/challenges. A Guiding Policy; the purpose of this is to direct your actions, it is the context in which your actions are made and helps to ‘guide’ them. “It is like a signpost, marking the direction forward but not defining the details of the trip”, the guiding policy should outline the overall approach for tackling the weaknesses you identified with your deep diagnosis. An example of a successful guiding policy is Barcelona FC who developed a guiding policy of embracing ‘Total Football’ throughout the club in the 1970s to then become a powerhouse in European club football. Coherent Action; strategy is nothing without action or measurement. Just as a diagnosis informs the guiding policy, the guiding policy informs the coherent action to achieve your goal. These actions should be coherent, consistent and coordinated. “A good strategy doesn’t just draw on existing strength; it creates strength through the coherence of its design” , these actions should support and build upon each other, steadily building towards the goal. Performance measurement is critical for good strategy: Are our actions making an impact? Is the strategy working? Do we need to adjust things? Only through the process of regular performance monitoring can you develop a successful marketing strategy, be prepared & geared up to adapt. In summary, when all three areas have been considered and you haven’t rushed or skipped any steps, you can maximise your opportunities of delivering fantastic results! We want to share some amazing charities we work with and a few that we think are doing great things in Brighton and the surrounding areas. We get so much pleasure in partnering with charities that are doing good and we really want you to see what they are up to! ONCA Gallery supports the wellbeing of people and places by increasing awareness of, and engagement with, environmental and social challenges. They partner with local and international artists to embrace a diverse perspective and try to foster more inclusive creative practices. They are a space for meeting, thinking, learning and celebrating art! Sussex Prisoners’ Families is a community interest company which supports local families to cope emotionally and practically with the imprisonment of a loved-one. They offer support and advice to families as well as training and awareness-raising for professionals so that they can better meet families’ needs. The Railway Land Wildlife Trust consists of a beautiful nature reserve and The Linklater Pavilion. They inspire environmental sustainability by bringing nature to the heart of Lewes. They aim to achieve this goal by running the Linklater building as a community- based hub for the understanding of a sustainable environment, providing inclusive outdoor learning using innovative approaches and supporting the local authority in managing the Railway Land nature reserve for the whole community. Sussex Oakleaf provides a range of support services to people with mental health needs, those with a personality disorder and individuals at risk of homelessness. They empower people and promote independence by providing recovery focused community wellbeing services, residential care, peer mentoring, housing support and volunteering opportunities. Tips On How To Have A Sustainable Halloween In 2018! Why not tailor your halloween costume to your everyday outfit tastes? A Halloween costume can be for life, not just Halloween. Or better yet, why not use second hand clothes to bring your spooky idea to life? Cheap Halloween sweets are usually covered in plastic and won’t biodegrade any time soon. Consider throwing your own ingredients into a cauldron and making toffee apples instead! Those plastic candy buckets will end up hanging around long after Halloween. Try going trick-or-treating with a different kind of container, get imaginative with a pillow case, laundry basket or even just use a normal handbag. Consider researching your local pumpkin patch this year or your nearest farmers market that sell pumpkins! Not only will you be cutting carbon emissions from transportation significantly, but often you’ll find all different shapes and sizes of pumpkins which will only add to the creepy factor once it’s been carved! Check out a few places in Sussex that you could pick your own pumpkin! Here. 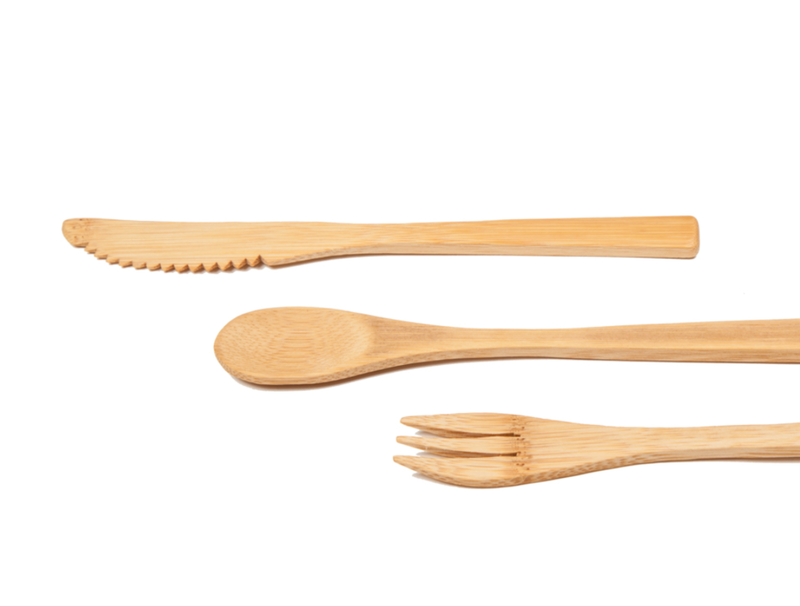 Plastic is a man made invention and it won’t simply deteriorate while we’re not looking - plastic items can take up to 1000 years to decompose in landfills. While everyday plastic bags can take 10-1000 years to decompose, the vast majority of plastic used on packaging ends up floating in our oceans and polluting our land, instead of being reused or recycled. Single use plastic is without question, killing our planet and our oceans. Right now an estimated 12.7 million tonnes of plastic, everything from plastic bottles and bags to micro-beads, end up in our oceans each year. That’s approximately a truck load of rubbish a minute. Not only does this amount of plastic waste hurt our planet, but it hurts other living creatures; many marine organisms can’t distinguish common plastic items from food. Animals who eat plastic, often starve as they can’t digest it and it fills their stomachs, preventing them from eating real food. Want to make a difference? 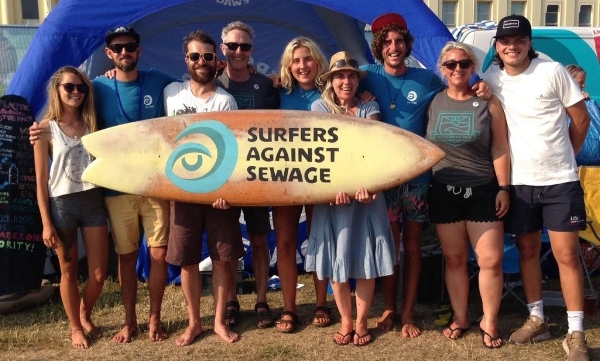 Join Creative Bloom and Brighton’s Surfers Against Sewage in cleaning up Brighton Beach on the 13th November from 12-2:30 - an event which is part of the Meaning Fringe. We are taking direct action against plastic pollution and will prove that anyone can make a difference when they work together. There will also be a short talk at 2pm which will further discuss marine plastic pollution and what you personally can do to stop it. And if you needed any more reason to fight for the end of plastic pollution- a recent study by Sarah-Jeanne Royer et al, has discovered that plastic wastage, when exposed to sunlight, will emit greenhouse gases that contribute to global climate change. So come help us fight against plastic waste and do your bit to make a difference. Running your business can sometimes feel like trying to tackle an incredibly uneven road surface in incredibly inappropriate footwear. No matter where you go, or which part of the road looks smooth there are inevitable hiccups, trips, bumps and set-backs. This is why, truly understanding your business and how other people perceive your business is vital. Do you have everything you need? Have you taken advantage of the free stuff out there? Important foundations to a business are paramount to success. Whether you’re an entrepreneur, start-up or already established, there will undoubtedly be areas you could improve, refine or introduce (if you haven’t already). Knowing your customer for example, do you truly know your audience? This is not necessarily who you ‘want’ to be your customer, or asking others who they ‘think’ your customers are. Use the data available to you! Remember that Google Analytics account you’ve never looked at? As well as Google Search Console & Social Channel Analytics - they can all tell you exactly who is on your site, where they’re coming from and what they’re doing when they get there. Take some time and dive into your traffic analytics, you will likely be pleasantly surprised what you can find out. The murky world of Digital Marketing, SEO, PPC etc. can all be quite overwhelming if you’re exploring it for the first time. However, if you take some time to understand the basics in these areas, you will be able to better understand what your business needs, be better equipped to explain to others what you need and you’ll also end up saving yourself money! So eventually, what, 6 months ago you would’ve paid an agency to do for your SEO, you can now jump on and fix yourself. Have a look at how fast your website is running with Pingdom. If your results say you’re below 2.5 seconds, give yourself a high five. If not, then you are provided with the information you could give to your developer to help improve this. You just became better equipped! Stella and Jimmela have a flower shop where they take lots of online orders. Just because Olivia has a flower shop across the street does not necessarily make Olivia their competitor - Especially as she doesn’t even have an online website. So understanding your online competitors is extremely important as they are likely not who you think they are. Jump on Google, type a few variations of your service or product into the search box and see what the results say! Do maps appear? Do some competitors appear for multiple searches? Now you can try and work out why they may be ranking higher than you (or lower) and employ some tactics that they’re using to better compete! Still itching to learn more about how you can supercharge your own business? Check out our two day digital marketing course that will give you all the tools you need to propel yourself past your competitors. You can't have Batman without Robin. You can't have Wallace without Gromit. And you cannot have a local business without local SEO! 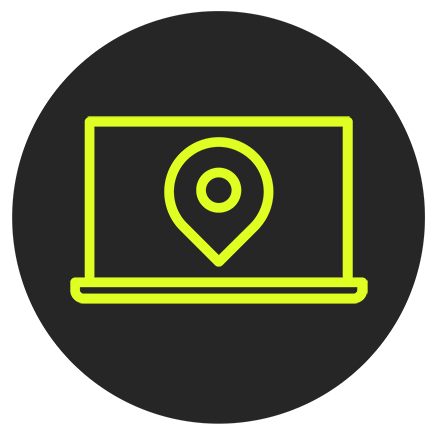 If you aren't on the local digital map then there's a very high likelihood that you'll be missing out on lots of potential opportunities that would otherwise be heading your way. We understand that digital marketing can seem overwhelming, with lots of technical jargon being thrown at you left, right and centre. However we have a fantastic Local SEO training workshop that will provide you with a no-nonsense, no-jargon approach to digital marketing, in particular local SEO. 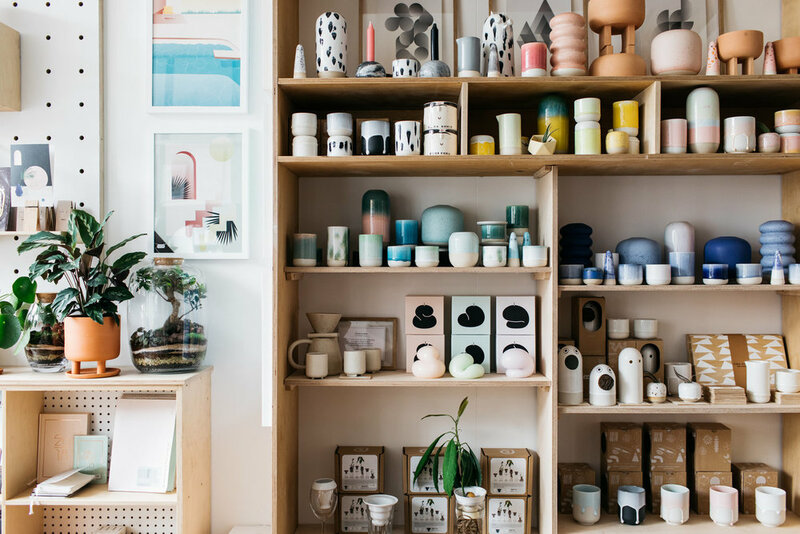 To give you a taste of what you'll learn about, here are some very simple yet effective ways that you can begin the journey of growing your business locally. Google My Business is the best place to start. This gives you your very own little chunk of Google real-estate, helping your customers to find out information about you, including opening hours, address and images of your products and services. Google also lets you post information about deals and helps promote what's happening on your social media pages. It encourages your customers to leave reviews by making as easy as possible for them to just log on and express their upmost admiration and appreciation for your business. Google also keeps an eye on the other big review sites such as Facebook, Yelp and Trip Advisor, so encouraging reviews across the board is important. A citation is a reference of your business on a directory or local business listing (Name, Address, Postcode etc.). You should add and maintain citations of your business using some of the many software platforms available, such as Moz Local, Brightlocal or Whitespark. Your local citations should stay consistent across the board, so when you're uploading them to any website or listing, always ensure that they match. If you change address, or phone number, make it a priority to go through all of your online platforms and update all of your citations. You can tell google what your website is about by ensuring you use local schema markup. This code applied to your website alongside citations will all count towards your Google ranking. Although you must ensure that you are using the correct keywords for your business, it's important to remain user friendly as much as possible - Google has an eye on that too. Local keywords can be effectively used within written content, however, it's important to spread them out amongst title tags, alt tags and headers to avoid keyword stuffing. Internal linking within content also helps to boost that local ranking. Look for way to include links on local directories and other businesses, perhaps even approach a local blogger to help get people linking back onto your site. We've only hit the tip of the iceberg here but sign up to our next Local SEO workshop if you want to get stuck in. What comes to mind when you think of the last professional development training session you attended? A positively prosaic afternoon filled with monotonous corporate speak and lukewarm coffee? We thought so. Was there any practical information or any tailored examples? Any action list for you to implement? You probably filled a notebook full of buzzwords and strategic jargon but it's been collecting dust ever since. We've all been there. We find that most training that we have experienced take a 'one size fits all' approach. It's rare to find a workshop that really delves deep into one specified area of marketing and instead takes a broad brush approach with attendees no matter what their business needs. Well we like to shake things up a bit. At Creative Bloom, we've had enough of textbook training and have spent time developing a different approach. Our new workshops are designed to enable you to tailor your training to find what suits you. We supply you with the knowledge, but also help you to ensure that it is relevant to your specific business and send you away with an action plan for what you need to tackle next. PLUS, we pester you after, to check up on how you're getting on beyond the classroom. Each of our coaches or 'Bloomers' as we like to call them have experience in their specific field, knowing what it takes to deliver what they preach, and continuing to practice with our current clients, keeping up to date with new tech and trends. Don't like tech speak? Neither do we, so all our workshops are delivered minus the jargon and instead with simple to follow steps, tips and examples. You never know, you might find a Star Wars slide in there somewhere. And hey, it's not all for you, we enjoy delivering them - so all that comes with a load of enthusiasm, helping you to have that lightbulb moment! 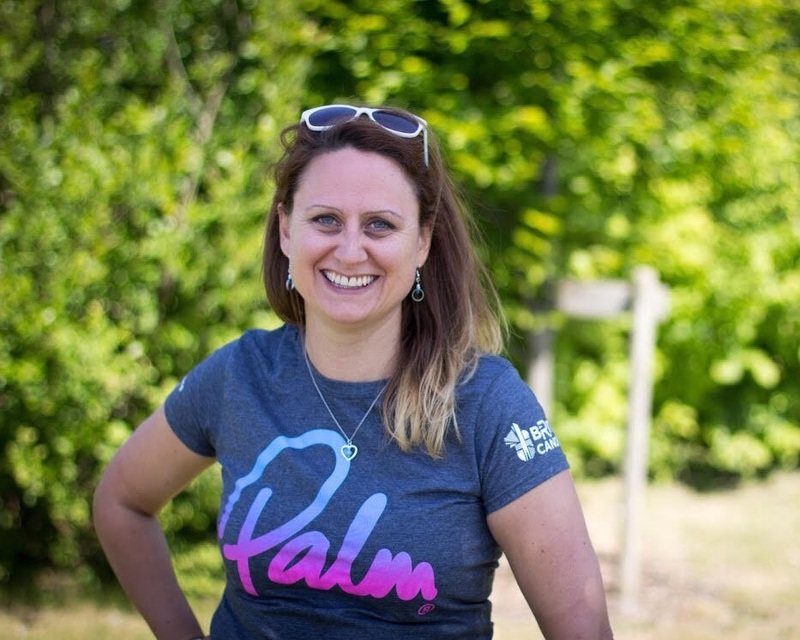 Creative Bloom is an integrated data-driven marketing agency helping green and value-driven businesses on their mission to make a social and environmental impact. We are all about data marketing on a mission. We are looking for a PPC (pay-per-click) Digital intern with previous experience in pay per click advertising. You’ll be working in a close-knit & friendly team who focus their digital efforts on helping the good guys get found. We are looking for a person who would like to utilise their digital marketing skills to help sustainable and green companies grow. Background knowledge / understanding of digital marketing, specifically experience of paid PPC advertising. An understanding of SEO and Web Design is desirable. Ability to write short-form content. An excellent understanding of the English language. Confident grasp of Microsoft Excel. The ability to understand and interpret data. Familiarity with Google Analytics . Share our ethical & green values. A commitment to drive change. Hard-working and has attention to detail. A confident short form writing style. Ability to demonstrate in your application an interest in Digital Marketing as a career. Optimisation and maintenance of PPC campaigns on Adwords & other social media platforms. Designing and creating innovative content for PPC creatives. SEO using keyword research and competitive landscape analysis. Reporting on Google Analytics data. Using tools such as SEM Rush, Moz, Excel etc. for data findings and conversion reporting. We’re looking for a self-starter - someone who is willing to take the initiative. You’ll need the the ability to work autonomously and as part of a team. A good communicator is essential - You shouldn’t be afraid to ask questions or for help. You should have good time management and be able to prioritise your projects & tasks. We really value a relaxed working environment and when she visits, our golden retriever will make lying on the floor seem like an even more attractive working position than you ever would’ve thought it was. Personal development is something we encourage and when applicable we will put aside time for personal training in house or externally. Staying in the loop often means attending local events, talks and conventions that you’ll be attending too & supporting Creative Bloom with our ‘eco’ campaigns, such as beach cleans & waste packaging action days. Only the finest coffee will be made every morning, but be wary that it’s decided via random spinner! Your day: 9 till 5:30pm. You will be working 3 days per week, for 10 weeks. At the end of your internship, we will review your time with us and may offer you a more permanent position. You will have competitive internship pay at living wage rate of £8.57 per hour, we don’t believe interns shouldn’t be paid! If you like the sound of that then please send us an email with your covering letter and CV attached. 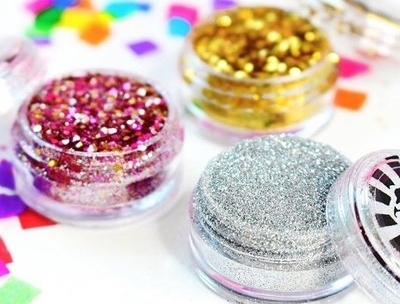 We've been hearing all about the recent ban of plastic microbeads in UK cosmetics due to the damage it can cause to marine life, but did you know that glitter can be just as responsible for aquatic pollution? So when, Brighton residents, you last shook your beard/bed/coffee in the months after Pride, just consider that these microparticles turn up just as easily in our oceans, leading to growth problems in sea life, amongst other issues. We are, however, beginning to see some very welcome changes. Tops Day Nurseries group have recently called out for a glitter ban in their classrooms in the run-up to Christmas, now using environmentally friendly alternatives such as lentils and rice. It won't make any difference in the development of a child's learning, but it could make a difference in our oceans if we all follow suit! Although we're well aware that cutting out conventional glitter will not solve the issue of plastic pollution, it will hopefully set a goal for others to follow and create a conversation about more hidden pollutants in our homes. If you live in Brighton & Hove, I’m sure that you would make the same assumption as most when it comes to the city’s recycling. We are the only city in Britain that is home to a Green Party Constituency so Brightonians must be green? Surely we would have some of the best recycling statistics of the nation? You may be surprised to hear that in 2014/15 Brighton & Hove was ranked 337th out of 351 English authorities for the performance of household recycling, composting and reusing - with only 24.6% of household waste being sent to council waste management. Top of the list was South Oxfordshire District Council, managing to send 66.6% of their household waste to council organised recycling, composting and re-use management. However, if you walk from one end of Brighton’s city centre to the other, you will come across an abundance of environmentally driven restaurants, activists, and pub conversations. This could lead you to the conclusion that Brighton has one of the most green-conscious communities in Britain. So why isn’t this reflected in the statistics? 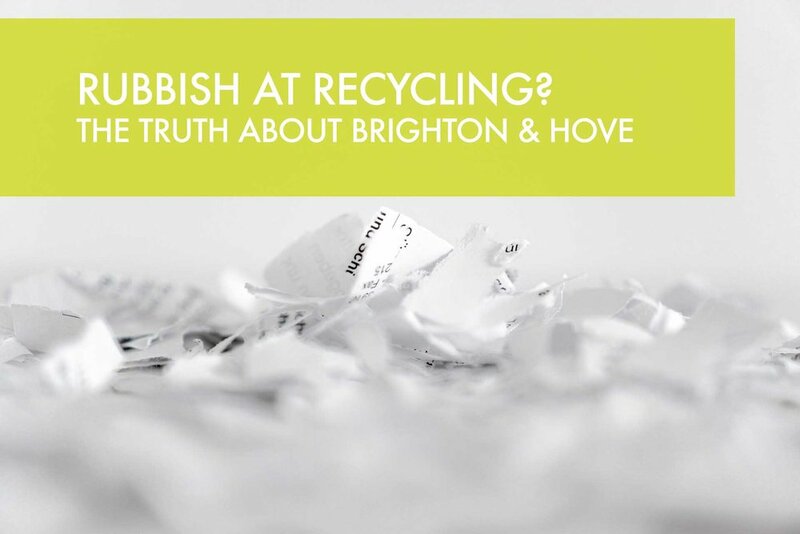 If you take a look at the list above and compare the recycling capability of South Oxfordshire and Brighton & Hove, you can see that the number of materials that can be recycled in each city varies greatly. So if the only plastics that can be picked up from your home to be recycled are bottles, where do you turn to when it comes to drinks cartons, tin foil, and other recyclables? One answer lies in Brighton & Hove’s well known make-do and mend mentality which stretches as far as the resident’s approach to recycling. In the true community spirit of Brighton and Hove, 3 volunteers from Hanover Community Centre began to collect recyclable waste around residential and business areas in 1990 and are still running 27 years later under the name of Magpie Recycling Co-operative Ltd. Magpie Recycling Co-operative has a far more extensive list of items that can be recycled and offer weekly home collection services under the name of 'Green Box' from as little as £1.39 a week. They have also set up 'Shabitat' - a warehouse of bric-a-brac that gives truth to the phrase ‘one man’s trash is another’s treasure’. There are several other recycling organisations that provide similar services, for example, The Wood Store who collect unwanted wooden items. Freegle is a homegrown Brighton and Hove online freecycling community, a site similar to Gumtree, but where everything’s free! 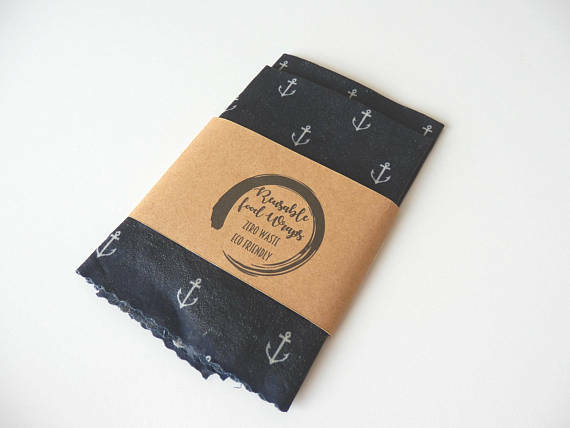 It encourages the community to help each other to reduce the demand for buying new products and cut down on waste. Freecycle is another great resource that works similarly, so if you’ve got a spare microwave or child’s buggy, you know where to go. Although there is currently no food waste collection by Brighton and Hove City Council, they are aiming to help reduce food waste by working with The Brighton and Hove food Partnership organisation to set up community composting around the city. They have already set up 16 community composting sites, as listed below. In addition to this, The Brighton and Hove Food Partnership alongside the council are on track to set up a community fridge, funded by Sainsburys. This will allow local residents to leave any spare food for hungry people and again help reduce food waste around the city. Having reviewed these areas of recycling around Brighton and Hove, you could argue that although the statistics for household recycling may not seem very high, there is without a doubt a sense of community ownership of recycling which is not quantified in these statistics. The council decided, only a few days ago, to phase out the use of single-use plastics in the city. This motion was supported by a public petition, proving that the people of Brighton & Hove take it upon themselves, with the help of private and public organisations, to find creative ways of cutting down, re-using and recycling waste in the city. So perhaps the fact that we have a lack of recycling resources available on our doorstep doesn't matter as much when there are efforts in place to cut down on the production of waste in the first place. There is that old saying that 'prevention is better than cure' after all. 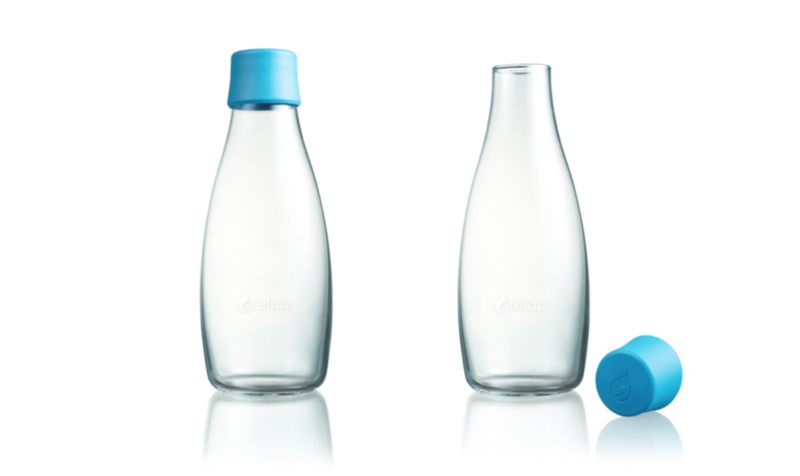 We are going to start talking a lot more about designing out waste.